Tools for Happiness is a Gonpo Ludup on-going Tuesday night series taught by different FPMT teachers around the world: sometimes in person in Laguna Beach, but predominantly live-streamed onto our big-screen TV at OM Laguna Beach. People are welcome to join us at OM Laguna Beach; or to participate online from their own computers in their own home. Registration for online participants is essential, and closes at 6pm PDT on Tuesday evening. Each class begins with a short meditation, followed by a talk about the mind. We explore a variety of tools for dealing with the difficulties of life, as well as how to develop the marvelous potential the Buddha says we all have — for clarity, contentment, happiness, and the ability to help others. Miffi will teach on the three types of happiness – what exactly IS happiness? How come we spend every ounce of our being trying to get it, yet it seems so elusive? How we can cultivate a lasting sense of peace and fulfillment (happiness), that does not go up and down, even as life continues to go up and down… An inspiring topic for Buddhists and non-religious equally. Miffi Maxmillion runs the spiritual program at Langri Tangpa Centre in Brisbane, Australia and is an FPMT registered western teacher. She left behind a thriving haute couture and costume business in Melbourne, when her mother Inta Mckimm (who ran LTC) became sick with cancer in 1997. Packing her bags for two weeks, she is still here 19 years later! Miffi was brought up a Buddhist and had the great good fortune to play with Lama Yeshe as a child, and his hook of compassion sustained her through the many rebellious stages of growing up. She readily admits to watching far too much TV and is an avid New Yorker magazine reader. Australian ex-Catholic, ex-political activist, ex-radical feminist, and former body guard for the Dalai Lama, Robina Courtin has been a Buddhist nun since 1978. 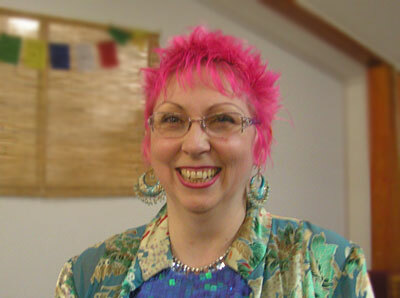 Well known for her work for 14 years with people in prisons in the US and Australia, Robina’s life and work is the subject of the award-winning documentary Chasing Buddha, featured at Sundance in 2001. 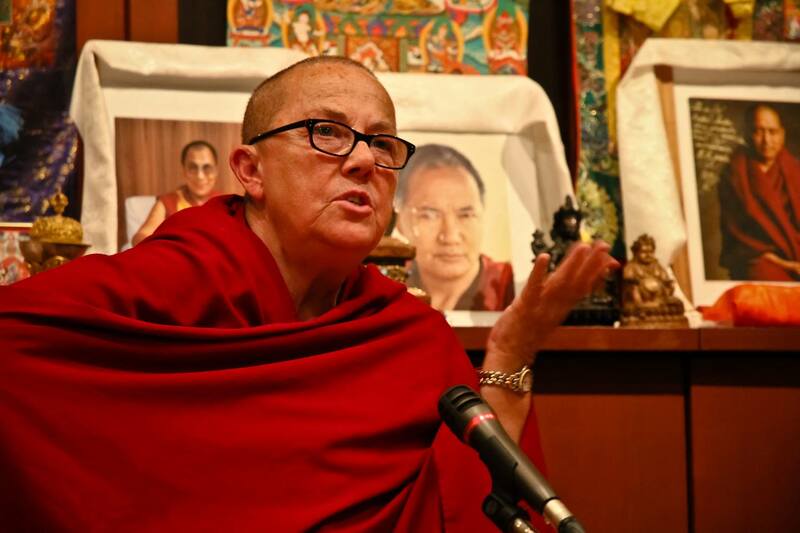 A renowned teacher of Buddhist psychology and philosophy, she teaches full time around the world at the centers of her teachers’ organization, the Foundation for the Preservation of the Mahayana Tradition (FPMT). Scholarships always available. No one ever turned away for lack of funds. Contact Kate for scholarship details.